A good pair of leather shoes, can do a lot for you in order to make a significant presence and styles. You look suave and polished by wearing formal leather shoes. 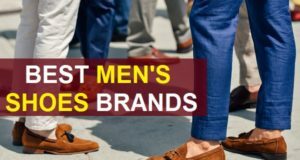 This is why, we see all the major brands of men’s shoes coming up with the various designs and patterns of leather made style. These shoes not just look remarkable but also are more comfortable. But it’s just that you should take care of the leather made footwear by wiping them and keeping them in air. 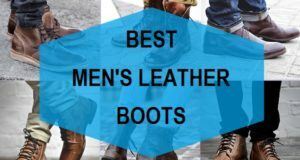 Out of the best brands of leather shoes for men. 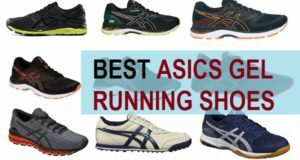 We have chosen the best ones and which these best men’s shoes brands are, let’s check out. Metro is a well known brand that makes men and women shoes, their shoes are affordable and expensive as there are different styles and ranges. These genuine leather shoes are one of the best men’s shoes that has heels. So, if you wish to tower few inches more then do try these. The heels are around 1 inch so, you will feel tall and yet stay in comfy position. Leathers shoes has a very sleek and spotless finish which gives it an elite feel. Mochi is a brand of men’s formal shoes that does not need any formal introduction. 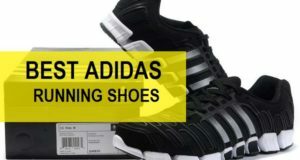 The brand is big and one of the high quality footwear brands in India. These formal shoes lacks the heels as seen in the previous pair but they certainly has an edgy design and is not like the regular boring formals. The lace up closure type shoes are good for people who wish to look sophisticated. Pair these with your formal trousers too look your best for a business meeting where you can leave an impression. These Red Tape shoes are formal in look and feel but has a slightly contemporary styling. The tanned brown color is perfect for the modern men and is comfortable to wear them all day long. You can look effortlessly suave by wearing a pair like these. The shoes are made from the leather material and comes with lace up closure with round toe. 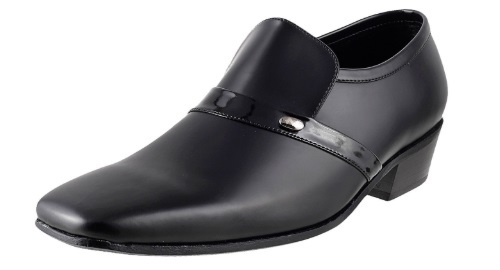 These formal shoes by Allen Cooper is a class apart as they are the loafers but has a classy and formal feel to it. They do not have lace up closure style hence, you can wear them to places where you are more likely to take off the shoes for some time. Price is very affordable considering they are leather shoes. The inner and outer material is both leather so, there s no PU or synthetic used in these shoes. 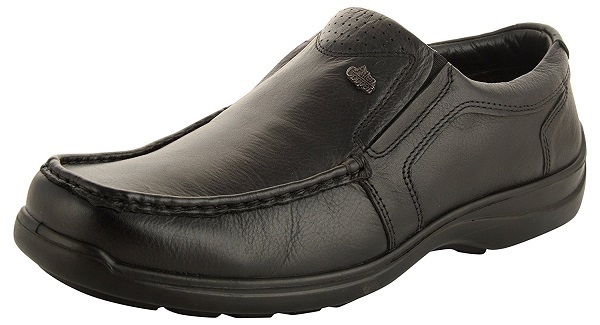 The slip on formal leather shoes are appropriate for men who want comfort. 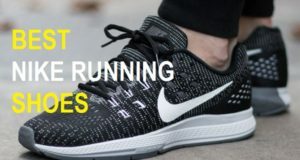 The beautiful and amazingly design shoes are for men who wish to look in their formal wear and also wish to prefer to look chic and stylish. 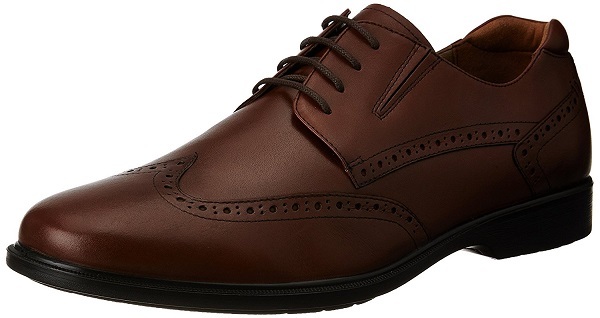 The trendy yet sophisticated shoes are for men with brown color and has the nice texture. Price is expensive but definitely worth spending. But beware to spot the original and not the fake things. Lee cooper is a good brand for men’s shoes in different materials. 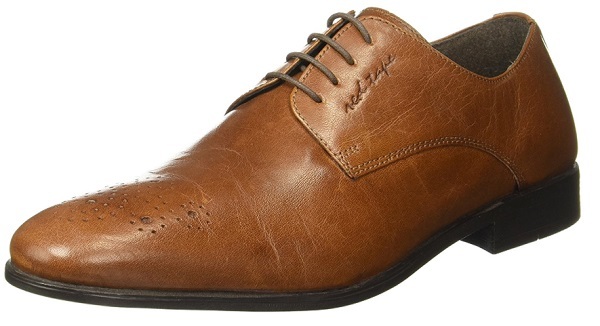 These formal leather shoes have nice style and can be worn with most for the formal wear. They come with slip on styling with elastic upper setting to take the feet inside. The shoe type is genuine leather with PU hard sole. These are available in Black and brown color. They have square toe so, good for all men. 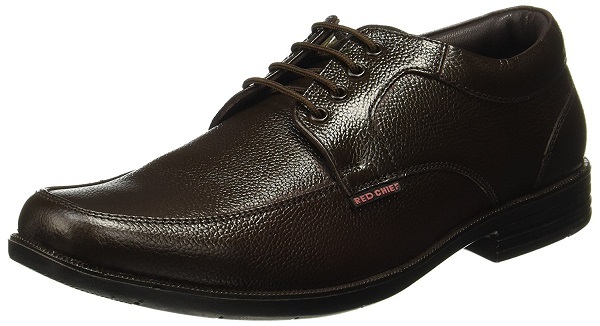 Nice matte leathered shoes for men who like to keep things and styling minimal for office. They look super stylish and neat in their appearance. Once can wear these with the official shirt and trousers to look like a perfect gentleman. These dark brown shoes have textured glossy finish which gives them a deviated look that the typical formal footwear. The slip on shoes look polished and has a structured styling for today’s men. These can be worn by men for all age groups. These have warranty against manufacturing defects: 60 days. These men’s formal shoes have the inner lining and the upper material made from the pure leather. The textured and plain leather combination gives these shoes a stylish look and they are not like the regular plain shoes. The lace closure is good and has a very comfortable everyday wear pair of shoes. The finish is matte and not glossy at all. The sole is made from PU which is sturdy and is very stable to walk in. You should always care your leather shoes as that way you can ensure longevity with the best quality and feel. You should clean the leather shoes with mild leather cleansing shampoo to get rid of the spots, dirt and dust from them. Use a soft brush to dislodge any impurities, dust etc that is sticking on the shoe surface. Air dry the shoes and get them dried completely. Do not expose your leather shoe or other leather footwear to the harsh sun. 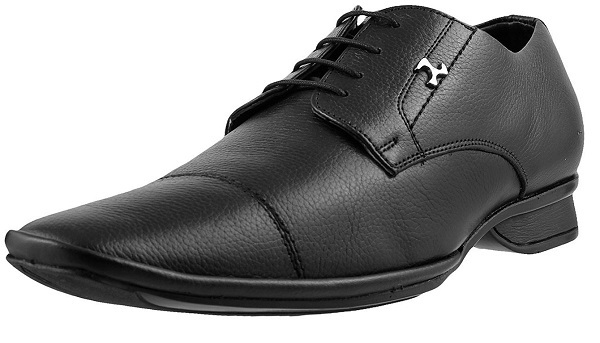 These are the best formal leather shoes in Indian market for men. 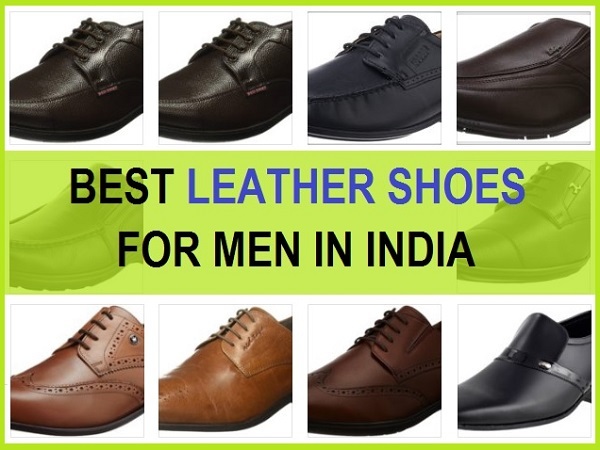 Which is your favorite brand of leather shoes, do share in the comments. 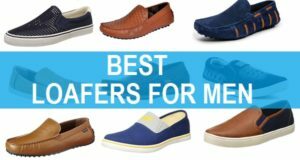 Also check out the best Loafers for men in India. For the comfort at home, you can check the best flip flop brands in India.